At a seminar on eliciting information I asked the participants, seasoned new-product practitioners, “Who has been on a runaway-train, new-product development (NPD) project?” Hands went up. 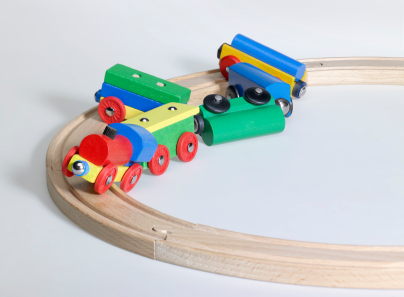 Assuming you’re not in the military, how do you as a manager set the brakes on a runaway-train project and keep it from gobbling up people and money needed for other projects in your NPD portfolio. Types of recent runaway-train NPD projects where we helped set the brakes. It’s a major customer and their CEO talks to your CEO so the project leaves the station without direct understanding of what the potential customers, the end users, want. What looks to the developers like a line extension of a product appears instead to customers as a new business model they dislike. Setting the brakes when your major customer’s estimation of value creation is incorrect. We found, after eliciting information from the end users, that they had no explicit or latent need for the innovative product being developed. Furthermore, we found the client contact who pushed the development request, and who had a powerful C-suite title, had little internal influence on product planning. After putting these findings in politically acceptable form, the developer and their customer began a new dialogue opening up an unforeseen value creation opportunity for both. Setting the brakes when an intended line extension is actually a business model change. A service which, had previously been bundled with the price of a specialty good, was now separated into separate pricing for the good and for the service. The developers’ view was that the unbundling would be attractive to high-volume customers since it would result in a lower total price. They went with their instinct, did not ask any customers for advice, and enacted the unbundling without forewarning them. Their customers reacted with outrage. We found after eliciting information from their customers that for the unbundling system to work, customers needed to release information they considered proprietary. Once the correct facts were gathered and accepted, brakes were applied and the runaway train was stopped with small damage to the business and, hopefully, to the developers’ egos. Gathering the correct facts is time-consuming. Such reflective decision-making is slow, takes effort, and is deliberate. But, it is far better than having a runaway train project, fueled by ever-greater sunk costs, crash and endanger its crew and passengers.